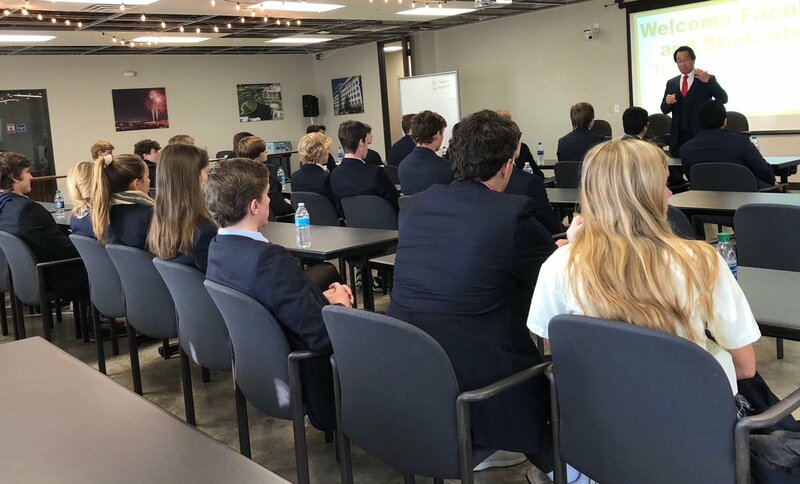 Yesterday, ESD students in AP Microeconomics, Accounting, Business Management, and Entrepreneurship classes visited Addison TreeHouse, a co-working space and resource center for entrepreneurs. Addison TreeHouse was founded by the town of Addison and the Dallas Entrepreneur Center to invest in local entrepreneurs. Students spoke with representatives from TreeHouse about their opportunities, as well as with local entrepreneurs about their experiences founding their own businesses. Mayor of Addison Joe Chow also welcomed the students. “I want the kids to be able to experience a co-working space used by entrepreneurs in Dallas and to see what options there are for entrepreneurs in the area. I'm hoping they can get a feel for what it’s like to use the space that is dedicated to giving entrepreneurs a location to brainstorm and work together,” said teacher Amy Livingston. The students were able to tour the facility and its resources, as well as ask questions of the staff and Director Nancy Hong. What a great learning opportunity! Many thanks to all involved.